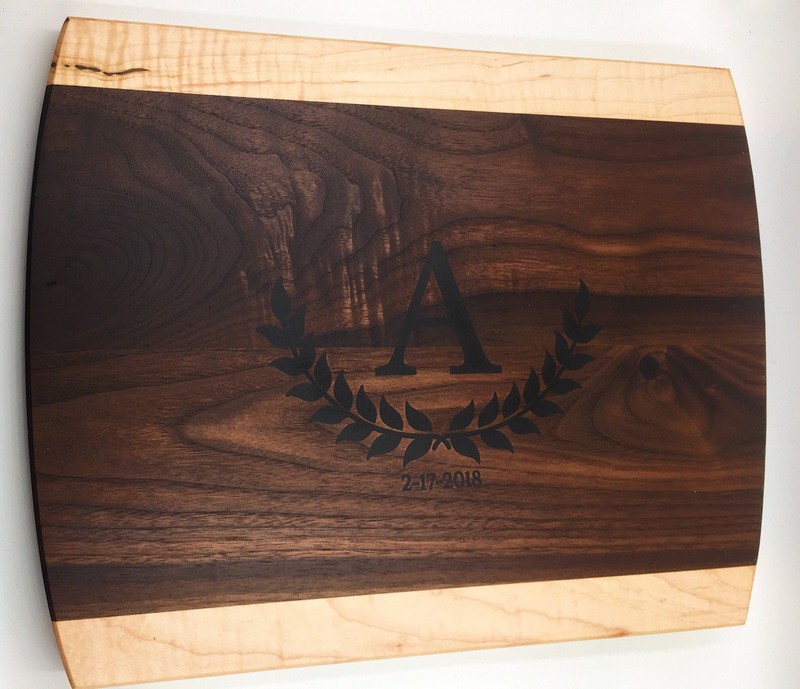 Custom Walnut and Flame Maple Cutting Board: Your Design Inlayed In Resin! 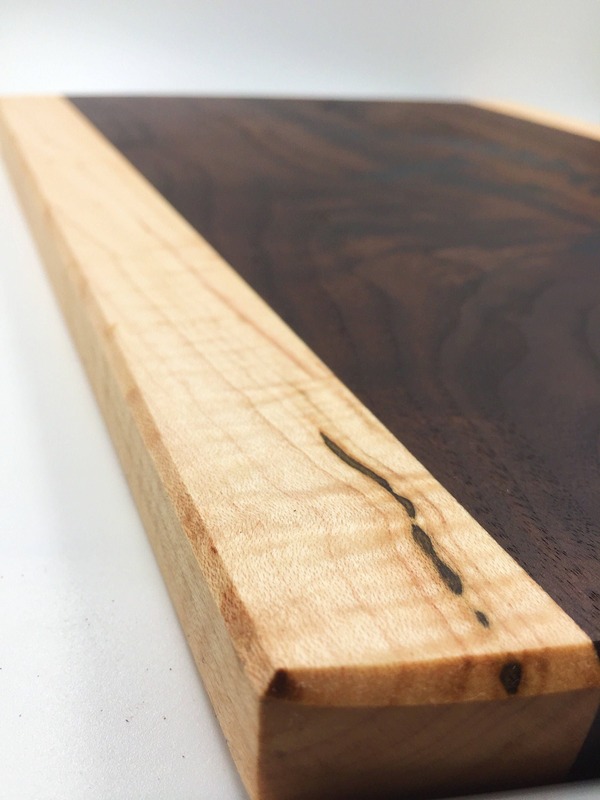 Walnut / Maple cutting board, handmade in North Carolina. 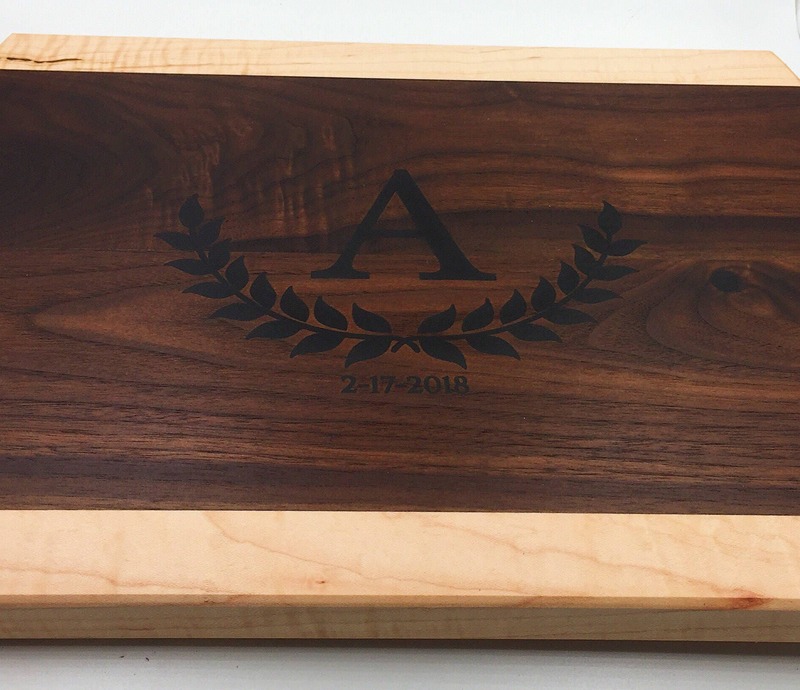 Overall dimensions are 13 inches long by 22 inches wide, and roughly .75 inches thick. 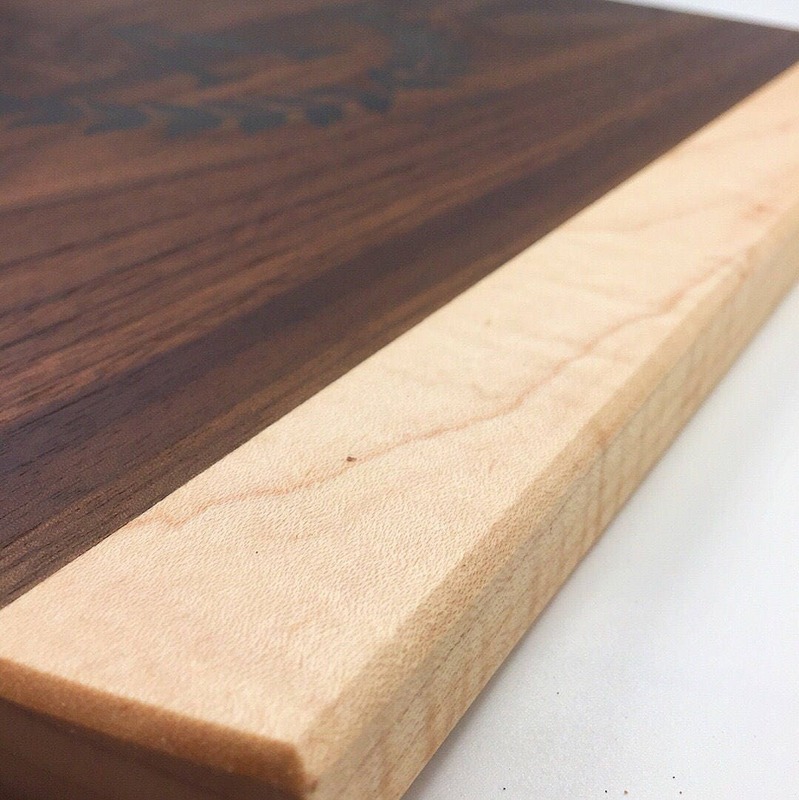 Beautiful curves edges and top grade curly maple trim accent the gorgeous black walnut board. 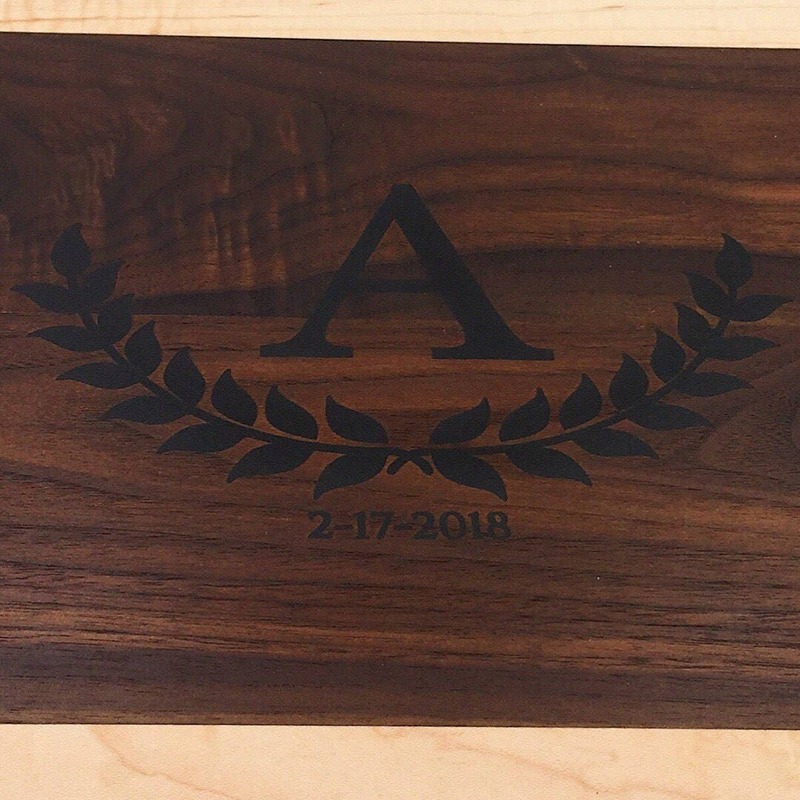 The carved design is filled with a foodsafe resin then sanded to 1000 grit for a great looking finished board that will last for years to come. Since these are made to order, there is a lead time of about 7-10 days. We do offer rush processing, with your order ready to ship in 2-3 days. Just select the “rush delivery” option! 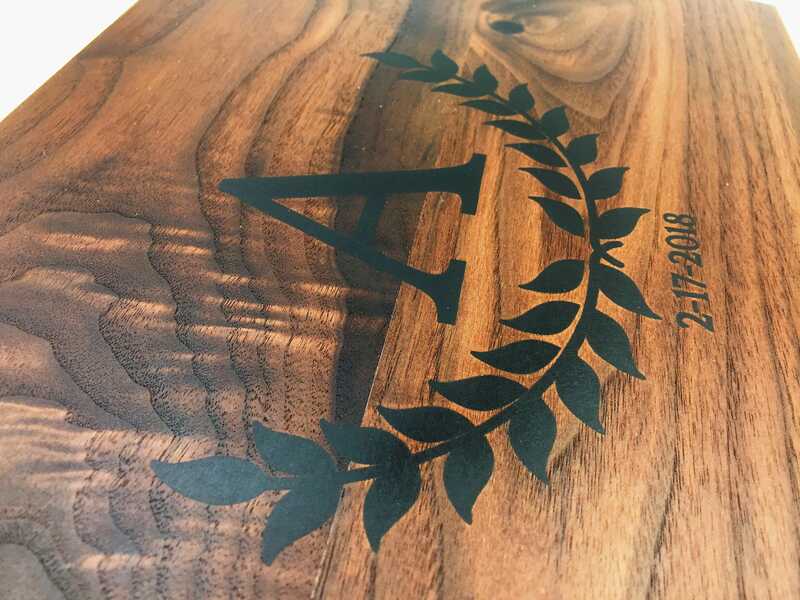 We are happy to create boards of just about any size, shape, and material as well! Just shoot us a message and we can get you a quote! Finished with our homemade blend of beeswax lemon oil, and food grade mineral oil, and ready to use right out of the box.